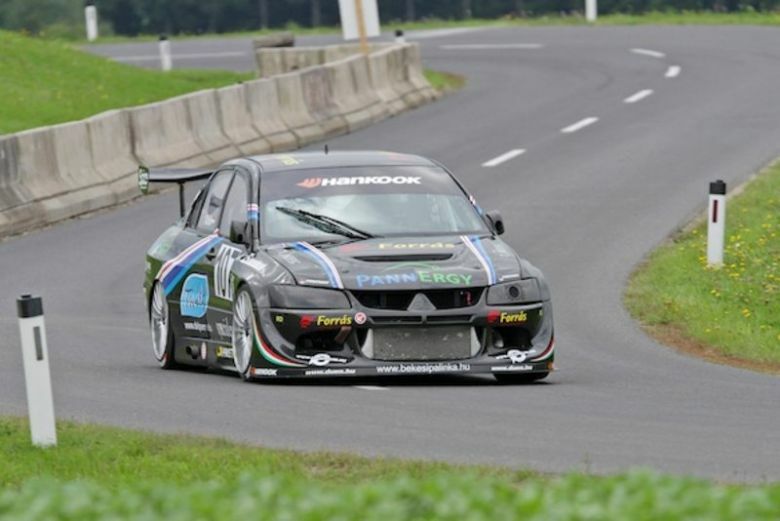 Mitsubishi Evo 8 with special body with CR-MO pipe reinforcements, Custom Cage Roll-cage, Front brakes AP 8 pistons 378x40mm (Citroen C4 WRC), Rear brakes AP 4 pistons 315x25mm, TILTON pedalbox with AP cylinders and brake pressure sensors, ATS wheels 14 pieces 10x18", Front and rear suspension arms specialy made from CR-MO pipes, Linear suspension sensors 4 pieces, Adjustable front and rear anti-rollbars, PANKLE titan cardan (Octavia WRC), Special shafts front and rear, MOTON suspension, CUSCO diffs with active central with Pectel Management, Rear diff cooling system, EXEDY clutch, KAPS gearbox, TABATA watercooler, SETRAB Oilcooler, HKS Intercooler, ATL 90L fuel cell - specialy produced for this car - brand new! HKS Stroker engine (2300ccm) - full spec, with HKS Air Intake system 8 pieces of 1000ccm Denso fuel injector, HKS Turbo - no restrictor, MOTEC M800 ECU with full spec (Gold), SPAL ventillators, Carbon parts: Fenders,Hood,Doors,Roof,Tailgate, Rear wing Diffusor system AP Airjack System, The car done about 50km from new. 2nd place at St.Agatha 2013!